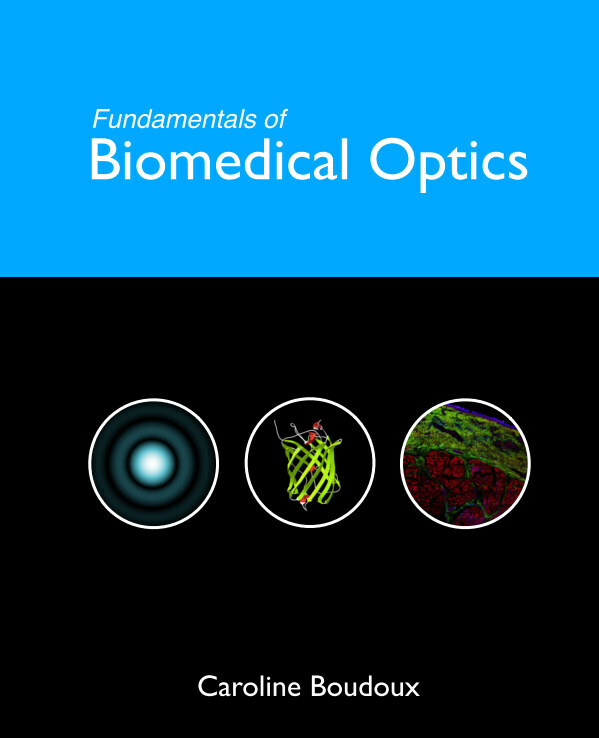 Prof. Boudoux’s book covers a comprehensive range of topics in biomedical optics and biophotonics. The organization of the material is well thought out, starting off with a toolbox of essential concepts that are general and yet detailed enough for a broad range of student backgrounds. The heart of the book covers the essential topics of tissue optics, as well as optical imaging system design concepts. With a well-balanced combination of engineering and physics, this text is an asset for students, and will be a valued long-term reference. Associate professor & rookie entrepreneur, Prof. Boudoux obtained her PhD from the Harvard-MIT Health Sciences and Technology program (USA). She then completed a post-doctoral fellowship at Ecole Polytechnique (France) before starting her laboratory, in 2007, at Ecole Polytechnique Montreal (Canada). Her research topics range from laser-tissue interactions to novel hardware for imaging. With a colleague and strategic investors, she later founded Castor Optics, a spin-off company commercializing a new line of double-clad fibers couplers.